Geoffrey Warner: Principal architect and weeHouse founder - from Alchemy Architects, a St. Paul architecture/design firm that specializes in tiny houses built with sustainable practices and materials. Thomas Fisher: Professor of architecture and the dean of the College of Design at the University of Minnesota. 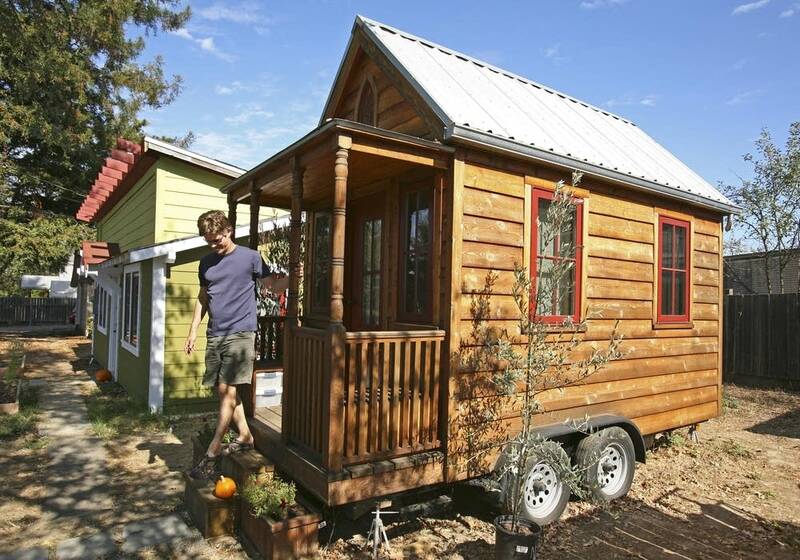 Could you live in a home that is less than 1,000 square feet? What about 100 square feet? On The Daily Circuit, we explore a growing movement to get back to the times when we didn't need much except shelter, food and few material possessions. It's called the small house movement, and it's changing the way some people look at their lives architecturally, socially and environmentally. Geoffrey Warner, principal architect and weeHouse founder, joins The Daily Circuit to talk about the art of building tiny houses. Warner's weeHouse work is through Alchemy Architects, a St. Paul architecture and design firm that specializes in wee houses built with sustainable practices and materials. While the number of people interested in contemporary prefab structures for homes and businesses has certainly grown over the last decade, Warner believes it's still too early to say that the idea has taken off. Leading the pack of hurdles that need to be overcome, he says, is that Americans just aren't used to this type of prefab housing. "Buy a prefab house now and you're still considered an 'early adopter,'" says Gabler, invoking a term that can stand for either prescience or faddishness. Thomas Fisher, professor of architecture and the dean of the College of Design at the University of Minnesota, also joins the discussion.